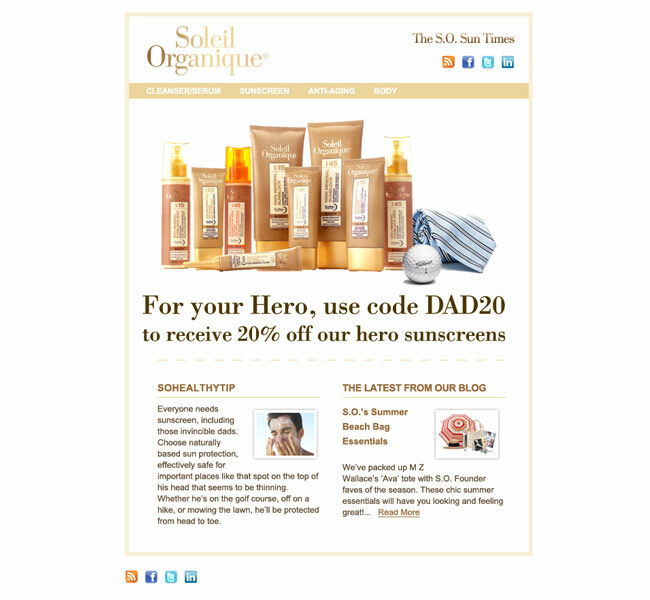 This organic sun and skincare company needed a new email template that was classy, sophisticated and catered toward their high-end products. We created an email design that allows them to showcase a new product or promo in the main space at the top. They can also add a sun and skincare tip, and their latest blog post at the bottom. The look of the email is clean and streamlined, and echos the look of their website and other marketing materials. This new template allows them to keep in touch with customers and other people on their list with a great-looking email that represents their company well.